Start off your visit on the 4th (Sat): stroll around Roma Street Parkland and then let the kids burn off some steam at South Bank Parklands. Get ready for a full day of sightseeing on the next day: identify plant and animal life at Lone Pine Koala Sanctuary, then take some stellar pictures from Mount Coot-tha Lookout, and then find something for the whole family at Wheel of Brisbane. 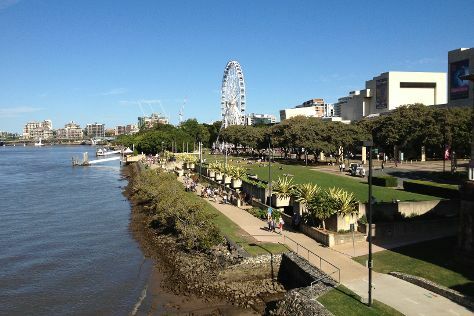 For traveler tips, maps, where to stay, and tourist information, you can read our Brisbane trip itinerary planner. If you are flying in from India, the closest major airports are Brisbane International Airport and Gold Coast Airport. In May, plan for daily highs up to 27°C, and evening lows to 15°C. Finish up your sightseeing early on the 5th (Sun) so you can travel back home.